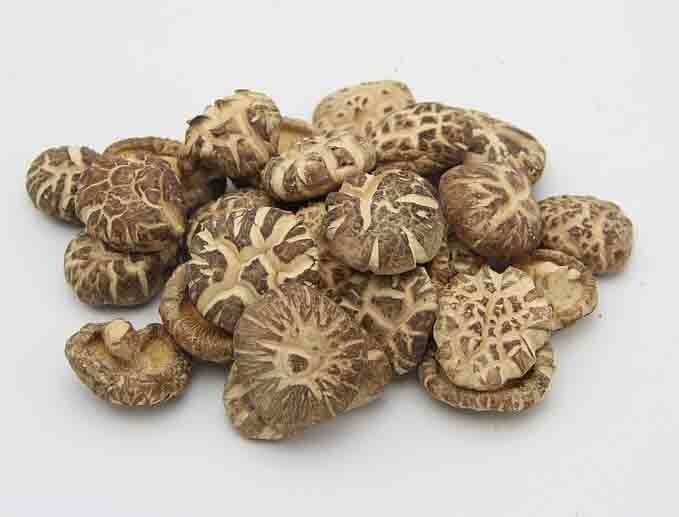 Shiitake mushroom or Lentinula edodes has long been known for its health promoting properties. This mushroom was used by the Chinese as medicine for almost 6000 years. It’s not only healthy but also very delicious to eat. Their rich, smoky flavor has captured the hearts and minds of many food lovers. But growing these mushrooms can be tricky, for people who are new to growing mushrooms. So here are a few easy steps on how to grow shiitake mushrooms. Collect logs: Collecting logs is the most importing part. Choose freshly cut trees to get logs. You can cut in the months when the moisture content is ideal, like October or April. They should be 3 – 8 inches in diameter. Timber stand improvement cuts can also help you find the right logs. Cut the wood into 3 – 5-foot sections. Once done one log can be used from 5 to 9 years to grow mushrooms. Select spawn: To grow the mushrooms, you need spawn. So you have to buy or make an investment in it at least once. This fungus tissue is used to grow the mushroom. These come in many different forms like wooden downs called plugs, saw dust and grain mixes. It’s better to use plugs for the first time. Also, it’s best to use medicine or vaccine on your cut logs to prevent infection. So remember to cut on the right time according to the weather. The diamond drill: Once the temperature in the area goes above freezing at night consistently, it’s time to start drilling the logs. The plugs often come with instruction on what drill bit size to use. You need to drill, inoculate and seal them all in one day. You have to keep the 2-inch margin at the top and bottom of the log. The holes have to be drilled in a diamond pattern, the top and bottom of the diamond have to be 6 – 8 inches apart, and the side of the diamond has to be an inch apart. Make as many diamond drills on the logs as you can as long as they fit. Then fill the holes with the plugs following the instruction, and then as they are filled seal them with wax. Sometimes many plug kits come with their wax. But cheese wax or bees wax will also work, warm them until they turn soft. And avoid using paraffin waxes. Stack them: Take the waxed logs outside and place them in an area where they can receive half sun and shade. It’s best to prep them under a white pine tree. The mushrooms usually come out 8 – 16 month later. Check frequently to see if the mushrooms have come out, if they have come out there’s only a week to harvest. If everything goes according to plan, you could get one to one and a half pound of mushrooms twice a year from each log. Thump the logs: Thumping the logs in the spring, summer and fall can induce the production after the first year. Pick up the vertical log and let it slide down, so the bottom hits the ground. This movement can spur growth especially if rain is in the forecast. Take the right mushrooms: Picking the right mushrooms is the most important step of the whole process. Growing the mushrooms is easy, but not all mushrooms are edible. Sometimes mushrooms can be poisonous. So you have to pick the right mushrooms. Although poisonous mushrooms don’t usually grow on logs, it’s still best to be careful. The shiitake mushrooms have a recognizable look; they have a white stem with gills that are not directly attached to the stem. The gills are tightly packed; the mushroom cap is brown to black, depending on the humidity. And you should also make sure what you’re picking up grew from the inoculated area, and not somewhere else on the log. If you are still unsure about the type of mushroom, you should locate a mushroom expert and show them color photos of the mushrooms. Eat or sell the mushrooms: You can now finally eat or sell the shiitake mushroom. These mushrooms have vitamin D especially if grown in the sun. They are also full of nutrients which are very healthy for the body. They can also be dried and used in soups to add extra flavor.